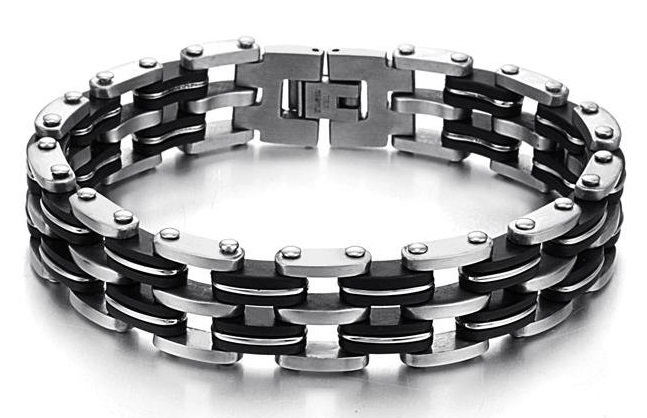 Handsome Mens Stainless Steel Bracelet. 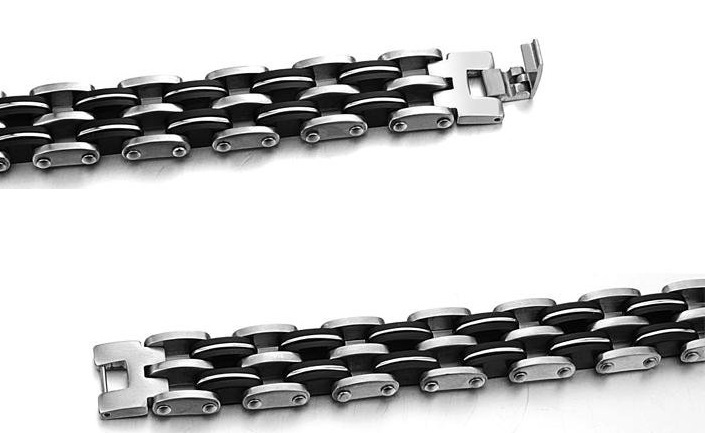 The bracelet is 200mm in length and weights 53 grams. This bracelet will never rust so there is no need to take it off if you are at the beach, pool, shower or lake. Q: On item 9700 what size or length does that come in? 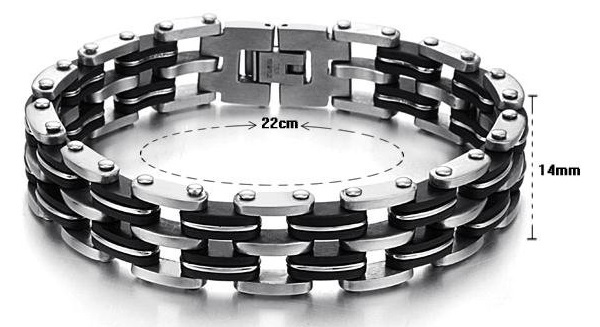 Q: Can this bracelet be resized? Superb bracelet! If you think that it looks great in the picture, wait until you see how great it looks wearing it! Top quality Tungsten and style. At first I purchased the Acacia ring from this site and then this bracelet. What an amazing way they compliment each other. I get numerous compliments. This site and seller is legit. I am NOT associated with the company in any way. I AM a very satisfied customer and wholly endorse their products. Thanks Tungsten for this beautiful high-quality bracelet. My husband loved it and wears it everyday! A very classy looking bracelet. We love it.